Accommodations, gourmet meals, snacks, beverages, meeting and function space and a multitude of land and water activities are included. Consider taking your group to Cancun, the Riviera Maya, Los Cabos, Puerto Vallarta, Punta Cana, Costa Rica, Curacao Panama, Jamaica and beyond. Our team will guide you in picking the best property and destination for your event. A tropical paradise awaits your next program. contact us and we'll find you the perfect place. GUITLY. Yes, I am guilty of basing my opinion of Paradisus Palma Real on a visit I made there many years ago – before they were truly ready to welcome incentive guests. 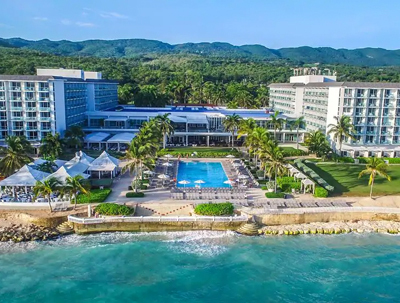 Having spent time there last weekend, I can tell you that this is among the nicest all-inclusives in the industry and certainly the best resort in Punta Cana. What's New In Los Cabos? Everything! What was not completely rebuilt after September 2014, is either brand new or under construction. The airport is big, beautiful and spotless! Air access is better than most Caribbean islands with flights arriving via all major carriers AND Southwest! No matter where you go the service, friendliness and attitude of the staff is very much up to par and incentive caliber.